We inventory a collection of Nylon Upholstery Thread Tex 70 375 yd setups @ $5.99 per spool. Gutermann Polyester Tera 40 Tex 75 440 yds Upholstery Thread @ $5.99 per spool. We stock Coats Tex 70 150 yds Xtra Strong Nylon Upholstery S964 Thread @ $2.99 per spool. Nylon upholstery thread is also available in 1 pound and half pound setups. Needles for all systems and sizes available on demand. We stock an entire collection of Mettler Silk Finish 50 cotton 164yd @ $3.00 each. Our collection includes a display containing Mettler Metrosene 30 wt Top Stitching thread, 54 colors of article 9146 30wt (Heavy Wt) Cordonnet Thread. 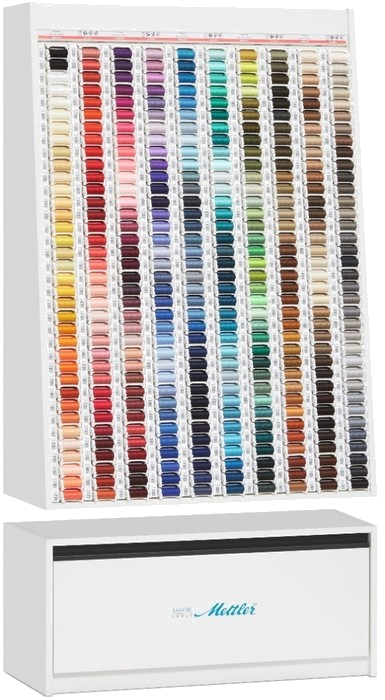 Our Mettler Cotton Multi-Color display contains 24 colors of article 9075 Small Spools (109yds each) and 8 colors of article 9085 (500yds each). 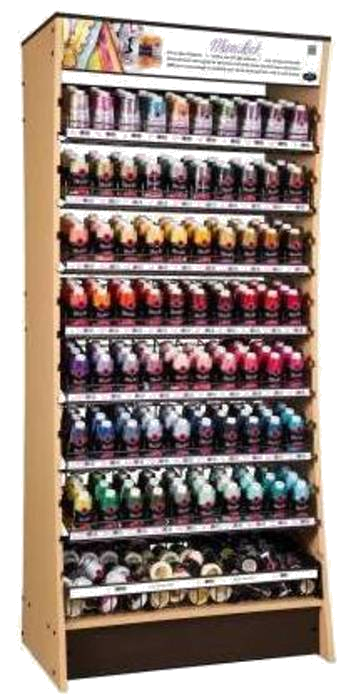 We stock an entire assortment of Maxi-Lock Serger colors. Check out our YLI Wooly nylon, a must have for any serger project.